In 2016, eleven counties committed to participate in local criminal justice reform initiatives through Indiana’s Evidence-Based Decision Making (EBDM) Initiative in collaboration with the Indiana EBDM policy team (state team). Since implementing their pretrial pilot project, Monroe County Assistant Chief Probation Officer Troy Hatfield and Pretrial Director Becca Streit have worked diligently to collect data documenting pretrial outcomes. In Monroe County, all arrestees are assessed using the IRAS-PAT. In addition to the IRAS-PAT, pretrial officers obtain collateral information from sources such as Odyssey, Doxpop, probation and pretrial case files, the National Crime Information Center, and other verified sources, such as employers. Pretrial officers use this information, along with information on the instant arrest, to complete a pretrial release recommendation that is provided to the court, prosecutor, and defense attorney. All parties, including a pretrial probation officer, attend initial hearings, which are held daily at 1:30 PM. All defendants released pretrial receive reminders of court hearings 24-48 hours in advance of the hearing. Defendants may also be ordered to one of three pretrial monitoring levels that include face-to-face meetings with a pretrial probation officer and periodic records checks. The court may also order other conditions on a case-by-case basis, such as chemical testing or day reporting. In November 2018, Indiana University–Purdue University Indianapolis School of Public and Environmental Affairs completed Monroe County’s initial IRAS-PAT validation. The study included 562 pretrial defendants who were arrested and whose case went to disposition between October 1, 2016 and September 30, 2017. 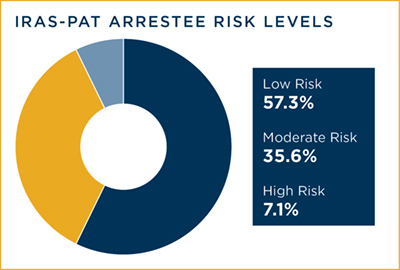 The research shows the IRAS-PAT accurately predicts the likelihood of pretrial misconduct (Failure to Appear (FTA)/any arrest), meaning the higher the individual’s risk score the more likely the person will not appear or will have an arrest during pretrial supervision. Knowing this information, pilots are better able to improve pretrial practices and gain confidence in using assessment results along with other critical information to make release decisions. In December 2018, the National Institute of Corrections awarded the Indiana EBDM policy team ongoing technical assistance to develop a strategic plan to expand and sustain Indiana’s Evidence-Based Decision Making Initiative. Strategic planning activities will commence in January 2019 and extend through September 2019. David Powell, Executive Director of the Indiana Prosecuting Attorneys Council, supports Indiana’s continued involvement in EBDM: “As vice chair of the State Evidence-Based Decision Making team, I have had the privilege of collaborating with criminal justice stakeholders from all branches of local and state government. “Our focus has been a safer and healthier Indiana. Work sessions have been challenging, enlightening, and respectful. We have identified and targeted areas to study and improve. One of our biggest challenges and goals is to produce objective data that will allow all of us with confidence to measure and test our programs and practices. Bernice Corley, Executive Director of the Indiana Public Defender Council, expressed similar support for Indiana’s participation in EBDM, and specifically the pretrial pilot project: “If the presumption of innocence is to have any meaning at all, it is essential that the pretrial detention of people be reduced. “Cash bonds have been a barrier to indigent people, who are over-represented in the criminal system, being released pretrial. The cash bond system benefits only those who can afford to pay for their release, while those who cannot remain in custody until the case is resolved. Dr. Bradley Ray and the research team will begin IRAS-PAT validation studies in the remaining pilot sites, starting with Allen and Hamilton counties. Results from those counties will be available in mid-2019. Allen, Hamilton, Hendricks, and Monroe counties will work with Dr. Ray and Dr. Evan Lowder to conduct a multi-site analysis comparing pretrial outcomes in cases where risk assessment is used to inform decisions to outcomes in cases when it is not. 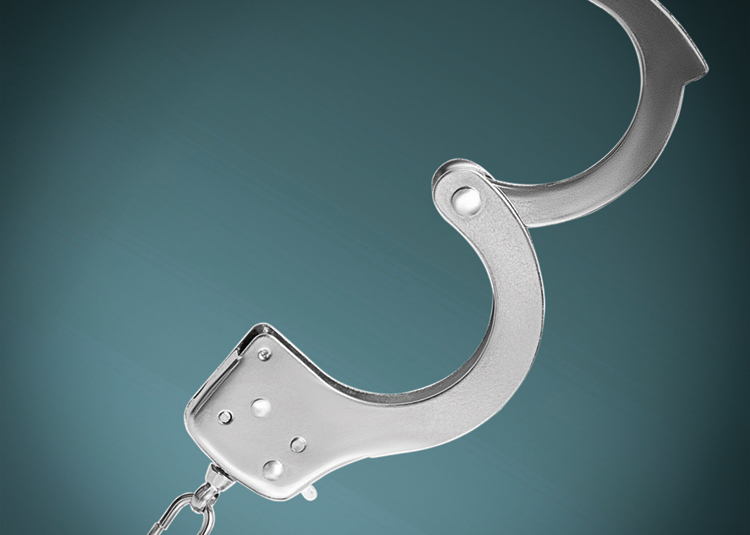 On April 2-5, 2019, the Indiana EBDM policy team will host a pretrial orientation for local criminal justice stakeholders interested in learning more about evidence based pretrial practices. The Indiana Office of Court Services is available to provide information, resources, and technical assistance to courts interested in learning more about EBDM. Contact Samantha Goodson, IOCS EBDM/Pretrial Coordinator at samantha.goodson@courts.in.gov for more information or to schedule a site visit to your county.